Now if there is one thing that you can always guarantee on in life, is that one day you will eventually end up dead. OK, I know that this is a very depressing concept to contemplate, but then again, it is very true all the same. 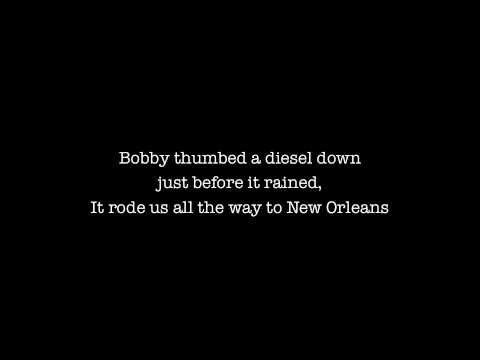 Just like this journey into the life, death, sweat, and tears, of the maid of music, Janis Joplin, in this 50-minute documentary made in 2010. In this episode of ‘Final 24’, we see the life, times, and death, of blues singer, Janis Joplin. Now to help document this true life tale in a poignant fashion, on show is a whole host of stock photography, re-enactments, archive footage, as well as pre-recorded interviews carried out my Janis’ family, friends, and colleges. A LIFE IN SUBURBIA: Janis Lyn Joplin had a very difficult time growing up in Middle America, because she was uncomfortable with her own appearance, and disliked the idealistic overtone that this town had on offer. Therefore, to find some respite within this dichotomy, Janis seeked shelter by allying herself with like-minded people, which was then aided by her love of blues music. Over time, this combination prompted Janis to travel the states, hone her passion for music, broaden her mind with the usage of drugs, and ultimately return back home a changed person. BIG BROTHER AND THE HOLDING COMPANY: Janis had a very bi-polar experience when she joined the musical ensemble ‘Big Brother’. On the one hand this association thrust her into the media spotlight, and gave her a place to be. Also, in addition to this, this ensemble presented to Janis an outlet to showcase her wares. However, on the other hand, Janis started taking drugs again, became addicted to alcohol, and felt a longing that this association did not seem to give her. She left after a couple of years - to pursuer her own goals under advisement. KOZMIC BLUES BAND: Janis did not seem to know what she wanted to do when she first joined ‘Kozmic Blue’. Worst still, is that this showed in her work, her behaviour, and her performances on stage. Again - she left after a couple of years due to advisement. FULL TILT BOOGIE BAND: Thankfully, once Janis joined ‘Full Tilt’, she seemed to find a place where she felt that she fit in. Her performances improved, she began looking after herself, and she even managed to clean up her drug taking habit too. Well, for a short while anyway – even after a noteworthy trip back home. 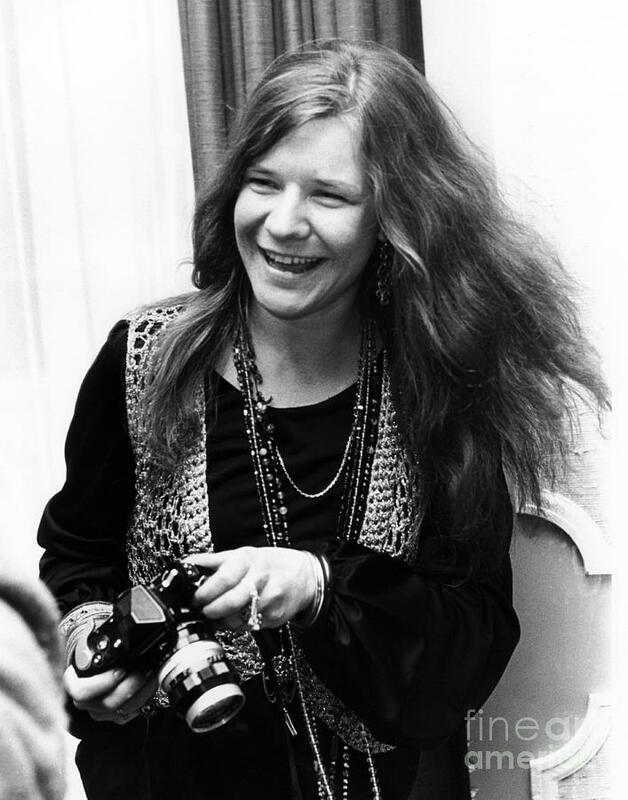 THE LAST DAY: Janis Joplin’s final days reads as follows: (5) Feeling restless by herself in a hotel room, waiting until she could join ‘Full Tilt’ in a recording seasons, Janis rings her fiancé, Seth, and then her drug dealer not soon after. Unfortunately, though, both of these calls did not pan out to well for Janis – because Seth shuns her – and, unbeknown to her drug dealer, he sells her some drugs that are too pure for her consumption. (4) Janis goes to the recording studio and records her final session with the band. (3) Janis and her band have a final drink at a bar after their session together. (2) Janis goes back to her hotel room, takes the ‘pure’ drugs, goes out into the lobby to buy a packet of cigarettes, before finally returning to her hotel room and then succumbing to this overdose. (1) Janis’ body is found the very next day by a member of the band. In my own opinion, ‘Janis Joplin – The Final 24’, is a very poignant tale; especially when you take into consideration the tragic death of the singer, Amy Winehouse. Like Amy, Janis had an addiction to drugs. 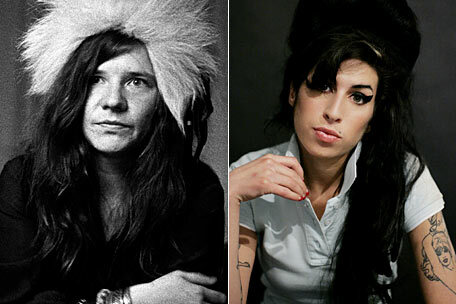 Like Amy, Janis seemed to thrive on being different to other people in the music industry. And like Amy, Janis died too young, succumbing to her own addictions in a way that is disturbing to say the least. Now I know that I could go on with this comparison, but if I did, it would not be fair to either female artist, and in someway too much can be too much – as this documentary clearly shows. Instead, what I will say is that life – any life – that fades away in such a needless fashion; is a tale that is always worth telling. Well, like many of the other tales presented by this series, it just demonstrates that creative people have creative means to be able to accomplish their creative pursuits. In many ways I am reminded of a tragic tale of another singer who died from drugs, Elvis, and how when he was initially introduced to them, he though of them as a normal way of whiling away his days, in a lifestyle that is as hectic and as turbulent as a more conservative profession. I am sure that that is what Janis felt too – as illustrated in this program – as if the use of drugs, to medicate her own troubles, would facilitate her own wares. Just think about it for a moment. How many of you have gone to the doctors and taken prescription medication to ail an ailment? Quite a few I am sure. And it appears that Janis did a similar thing – just without the medical consent and a valid prescription. So was this the wrong thing for her to do? Yes – of course it was. Still, when someone is not educated enough in this matter, how else are they going to know any difference, huh? Please note: that is where my previous Amy and Janis analogy falls apart. If anything, Janis’ life and death should be a warning for other people in the creative industry to know better, and they should use her as a shining example of how drugs and creativity do not mix. Moreover, it also shows how it is never what is prescribed that ails your woes, but rather, how to find acceptance in a world that you are rebelling from - and make that stand in a truthful and valid way. You see, what I personally found intriguing about watching ‘Janis Joplin – Final 24’ was how Janis rebelled against her own family, only to find acceptance in another of her own devising. I surmise that this was most probably the cause of her drug taking habit in the first place – this contradictory center that she tried to repress. If she confronted this dilemma head on – which she appeared to attempt to do once she became successful – then the use of drugs would only then be habit forming, and not as a ‘facilitator’ to her ‘center’. Still, what the f*ck do I know, huh? I’m no shrink. I’m just an avid movie enthusiast who has watched so many stories like Janis’, that I can have a level of perspective – plus the benefit of hindsight – to second-guess a persons motives with a modicum of objectivity. Well, as you can most probably guess by now, this documentary has moved me quite a bit. And like many of the others in this series, makes me think, surmise, and try to understand why great people die is such a wasteful way. Great documentary – and shows that greatness does come with a double-edged sword.